New York - Just over a week after Samsung paid Apple more than $548 million for infringing the patents and designs of the iPhone, Apple has asked a U.S. court to force its biggest smartphone rival to cough up even more. In court papers filed on Wednesday, Apple Inc (AAPL.O) said Samsung Electronics Co Ltd (005930.KS) owes nearly $180 million in supplemental damages and interest. These further damages relate to five Samsung devices that infringed Apple’s patents and were sold after a 2012 jury verdict finding Samsung liable in the dispute. Representatives for Samsung and Apple could not immediately be reached for comment. The long-running dispute dates back to 2011, when Apple sued Samsung alleging the South Korean electronics company violated its patents and copied the look of the iPhone. After the 2012 verdict, Samsung was ordered to pay $930 million to Apple. In May a U.S. appeals court stripped about $382 million from that total, saying Cupertino, California-based Apple could not protect the phone’s appearance through trademarks. 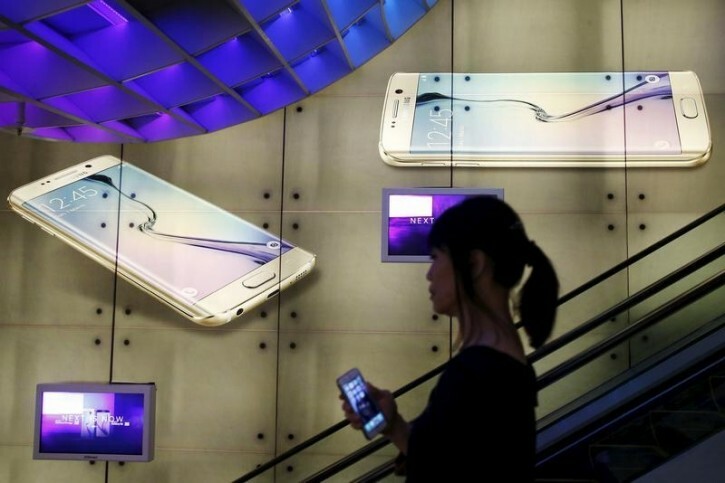 Samsung paid Apple the bulk of the judgement, $548.2 million, on Dec. 14. In a case that has come to epitomize the global smartphone war, Apple and Samsung have more battles ahead. Another trial over remaining damages related to the appeals court decision is set to go ahead next March in San Jose, California federal court. Samsung has also appealed the case to the U.S. Supreme Court. The company said Apple was compensated far more than it deserved for patents on designs of the iPhone’s front face, bezel and application icons. The high court must first decide whether or not to accept the case for review.